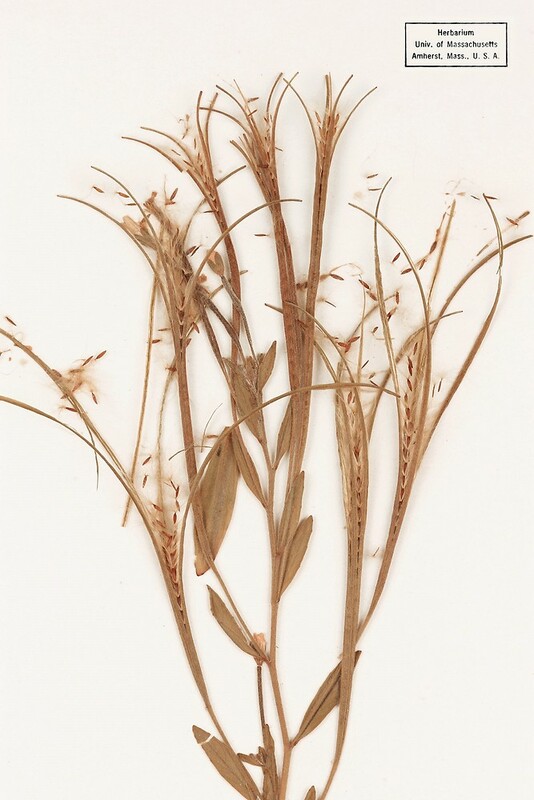 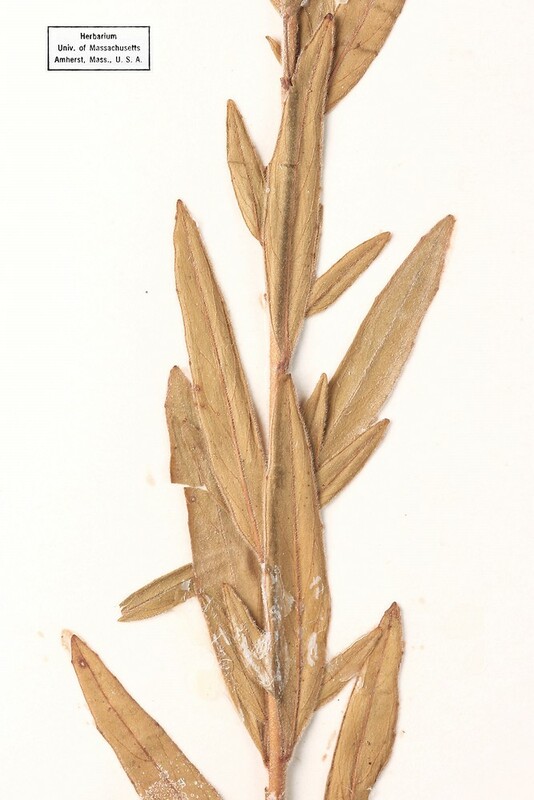 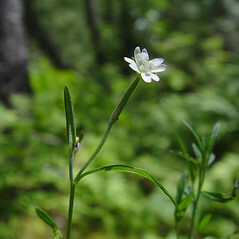 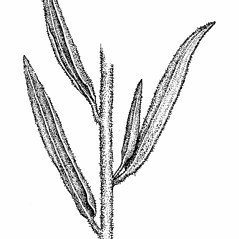 Epilobium strictum Muhl. 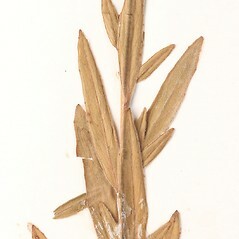 ex Spreng. 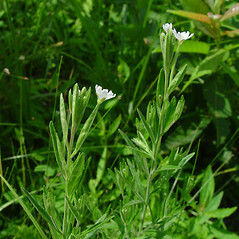 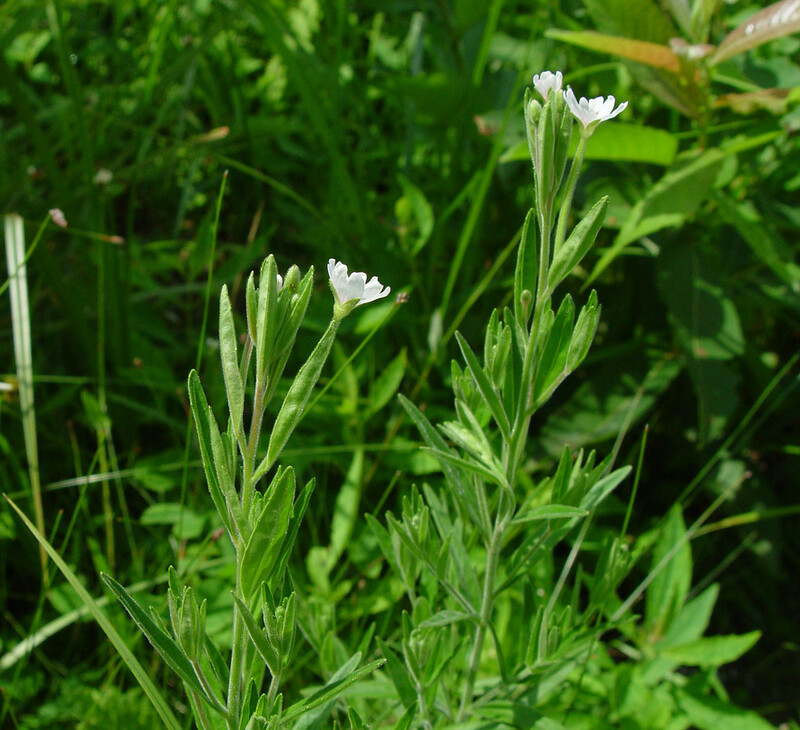 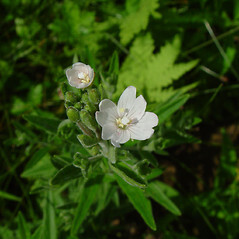 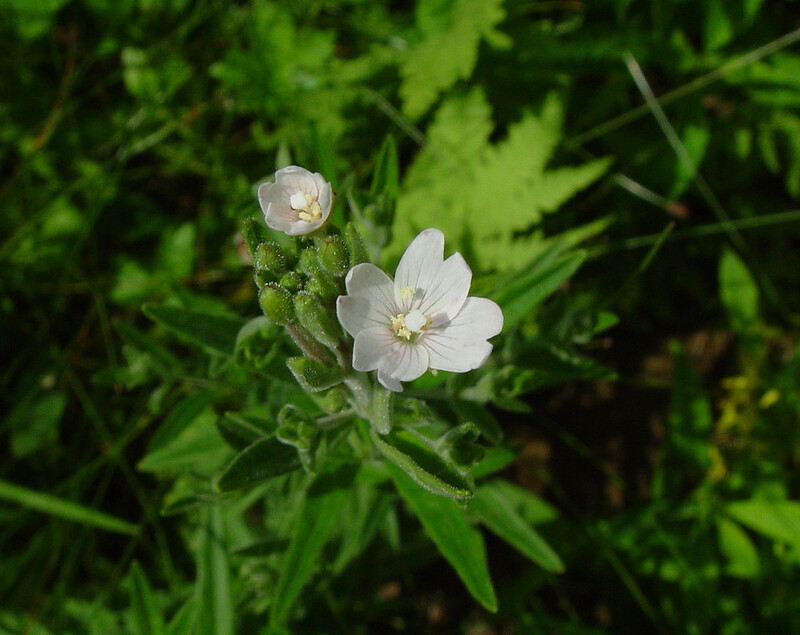 Downy willow-herb, as the name suggests, is covered with whitish down on the stems and leaves. 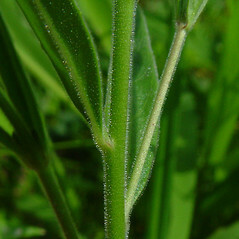 Most leaves also have their margins rolled towards the back of the leaf. 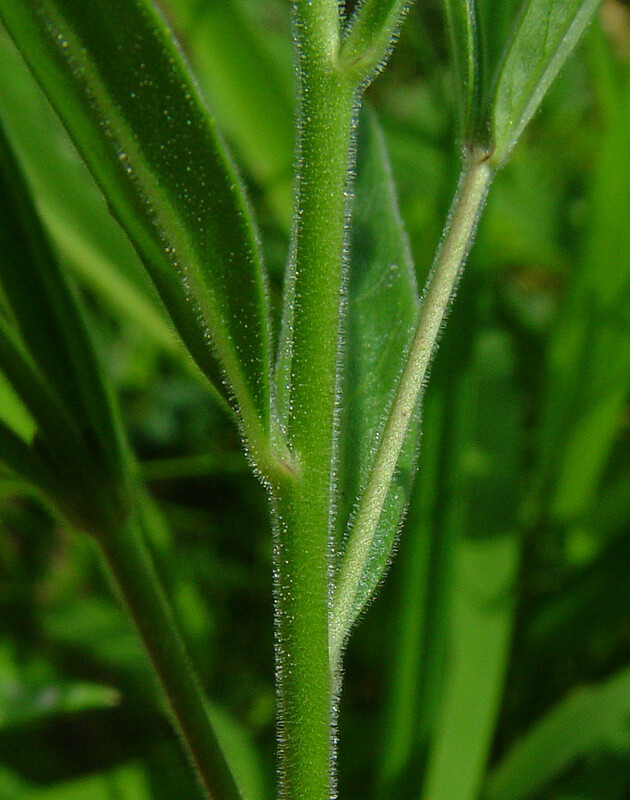 hairs on stem appressed (vs. E. strictum, with hairs on stem spreading). 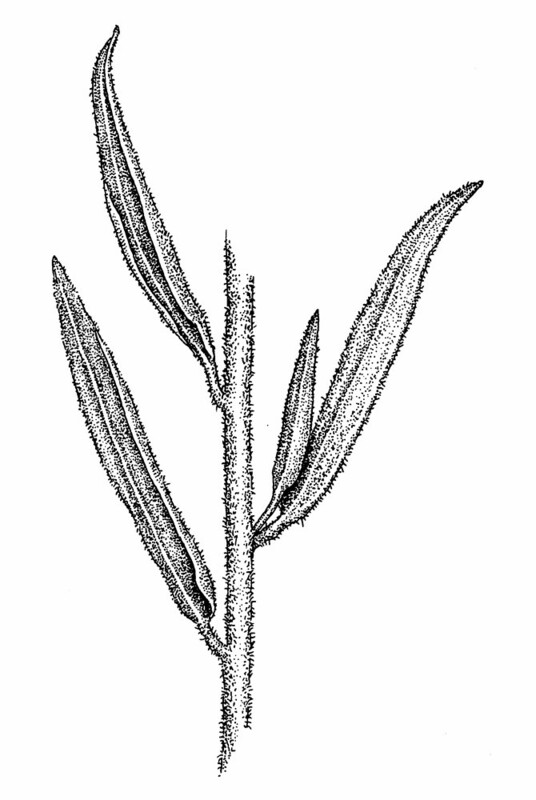 downy willow-herb. 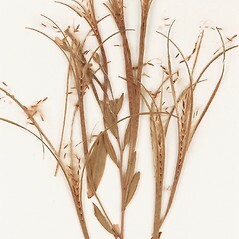 Epilobium densum Raf. 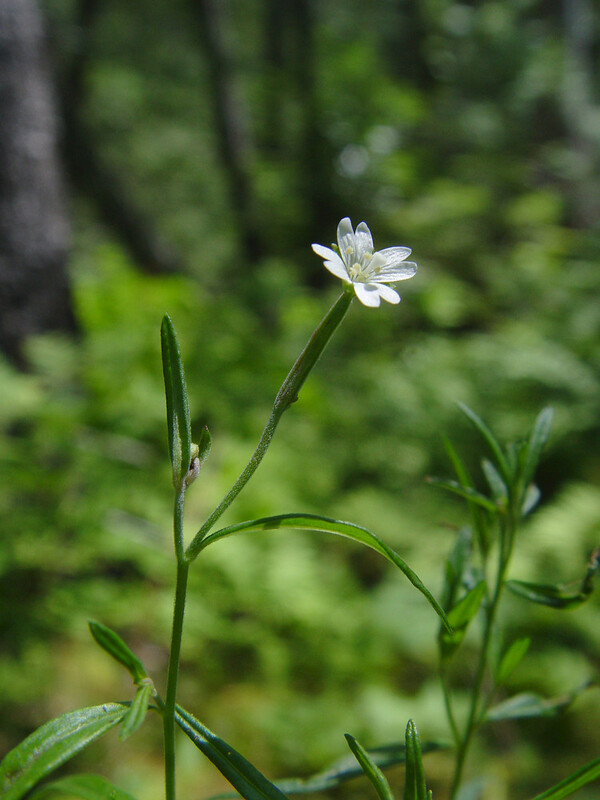 • CT, MA, ME, NH, RI, VT. Bogs, fens, swamps, peaty meadows, marshes, shorelines.